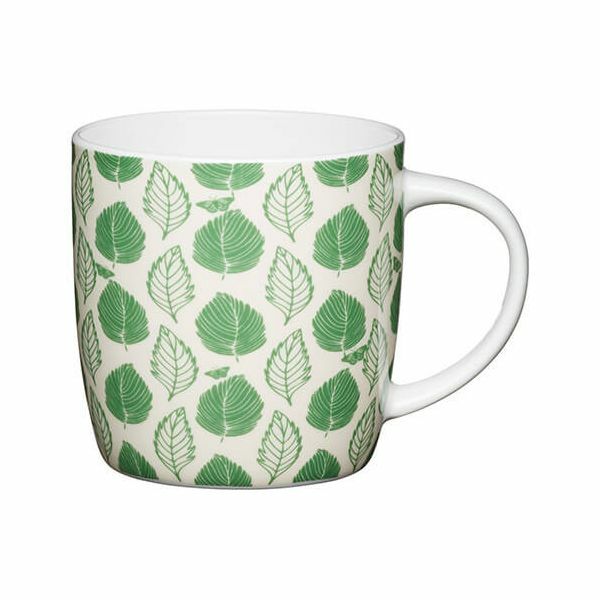 This KitchenCraft china mug has a 425ml capacity and features a green leaf design to brighten up your morning tea or fresh coffee. The barrel shape design features a generous sized handle that is comfortable to hold and provides a firm grip. The mug is suitable for use in the microwave and is dishwasher safe for easy and convenient cleaning. The colorful design of this KitchenCraft mug is perfect for giving as a gift or for home as part of a matching collection.